There is no quick way to send a Facebook video to YouTube. 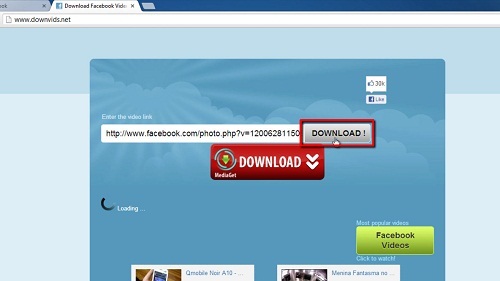 This tutorial will show you how to send facebook video to youtube by downloading and uploading the video. 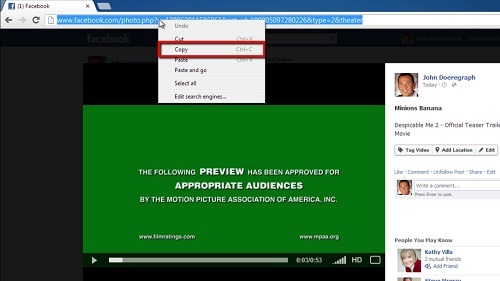 In Facebook find the video that you want to share on YouTube, open it by clicking on the thumbnail image. A new frame will appear and the video will start to play, you need to copy the URL of the video from the address bar. Open a new tab and visit “www.downvids.net” and paste the copied URL into the white text box and click on the grey download button. The website will load the video for a moment and then it will appear below. Right click on the “Download this Video” button and click “Save link as…”, name the video and save it to your computer. 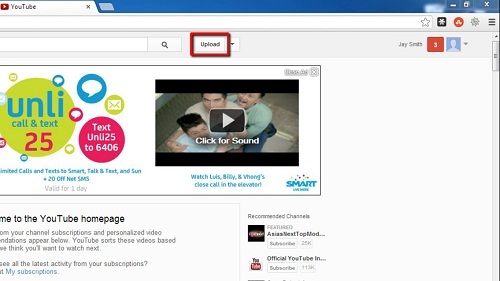 Once the download has finished navigate to YouTube and make sure you are logged into your account. Click the “Upload” button and then the large upload icon in the center of the new page. 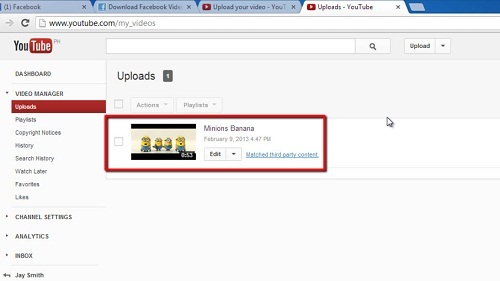 Locate the video we just downloaded on the computer and click “Open” to start the upload. Enter some details about the video, such as a “Title” and “Description” and wait for the video to be uploaded and processed. To view this video click the “Video Manager” button at the top of the screen and on the new page that loads you should see the video, click on its thumbnail to view it. That is the rather complex procedure for learning how to send facebook video to youtube.